Kelly Ripa Light Hearted in the spa colorway. 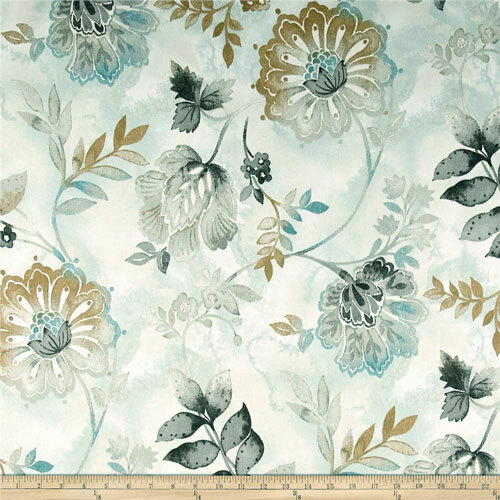 Large floral print in shades of light teal, gray, tan and white. Suitable for upholstery, decorative pillow covers, headboards, crafting or other home decorating projects. Medium weight fabric.